The visual identity for D&AD Festival 2019 has been revealed. 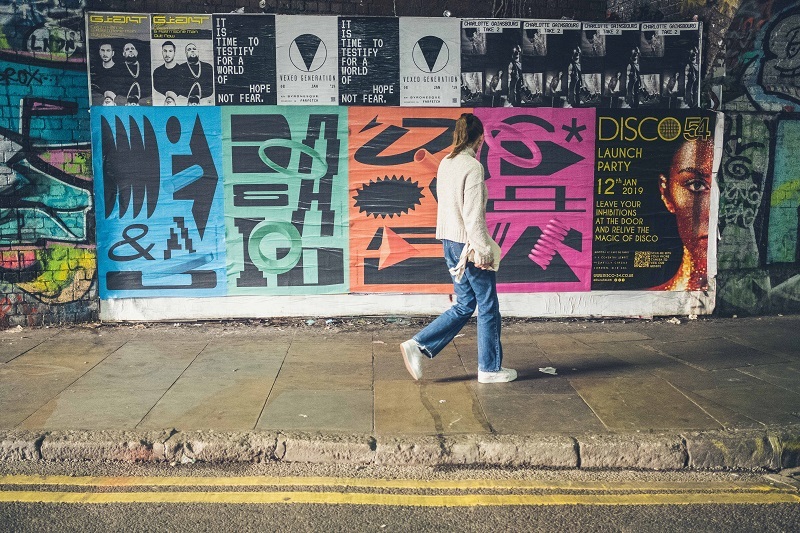 D&AD Festival, where craft, creativity and culture collide, returns 21-23 May 2019 to The Old Truman Brewery, London – the UK’s largest event for global creative talent. We were delighted when D&AD approached us to design the identity for this year’s Festival. Inspired by their aim to challenge preconceptions around the awards, we wanted to create a visual style that speaks to the fundamentals of design through shape, form and typography. We developed this by establishing a range of energetic graphic devices – providing a visual dialogue that reflects the creative debate and conversation that are at the heart of the Festival. For this year’s D&AD Festival, we chose to focus on the future. D&AD Festival will give us a glimpse at the upcoming trends in creativity, and those attending will get to hear from some of our industry’s leading figures. It’s going to be fascinating and inspiring. D&AD Awards and Festival map out the future of creativity by showcasing new and innovative work each year. We trusted Village Green to design an identity for this year’s Festival that not only reflects the nature of the Festival and Awards but also D&AD as an organisation continuously looking to the future. With a diverse range of activities and talent on board, we encourage anyone with an interest in creativity to get their passes now and not miss out.